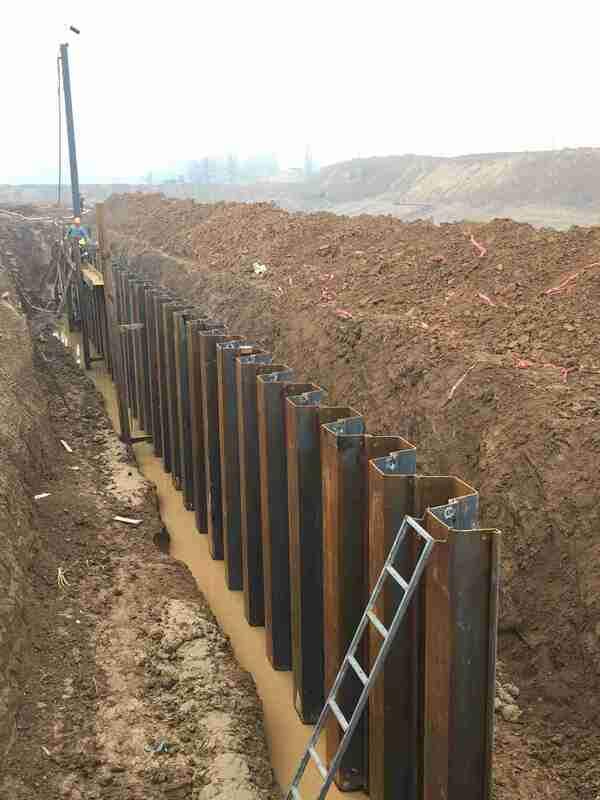 these small construction units professional and technical personnel is not complete, and the design and construction process of steel sheet pile retaining often overlooked security pit. Supporting steel sheet pile needs to be done off the ground simply by virtue of feeling or a reference to support programs of other projects. This practice because less experienced staff and now the resumption of construction, has led to the situation outside. There are sheet piles used in the construction process, many are heavy steel sheet pile leasing companies rent over with, we should check the soundness of the steel sheet pile. In order to avoid accidents in the construction, we want to support the steel sheet pile to make a rational design calculations. Steel sheet pile supporting design calculations from these areas to consider. Steel sheet pile arrangement and computing support, where we have to consider a number of steel sheet pile lease a total of how much, how can we distributed. The support system of internal forces calculation, here mainly refers to steel sheet pile retaining affordability. Buried deep computing requirements we strictly follow the standard construction of steel sheet piles buried deep well control. Stability and deformation in the calculation estimates the content is more important, we need to consider the entire construction process of various factors.